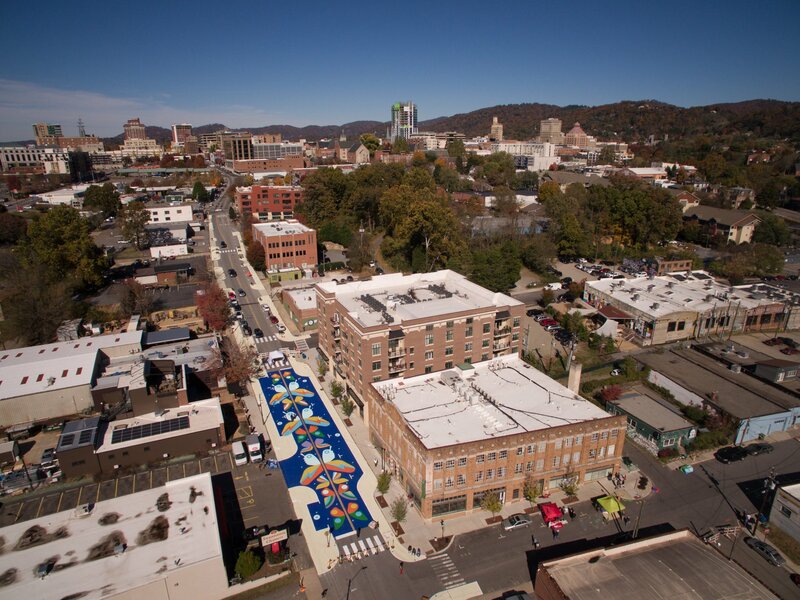 Over the course of 4 days, Street Plans led the transformation of a .3-mile stretch of Coxe Avenue in Asheville, NC. The project team comprised of volunteers from Asheville on Bikes, the Blue Ridge Bicycle Club and the AARP. 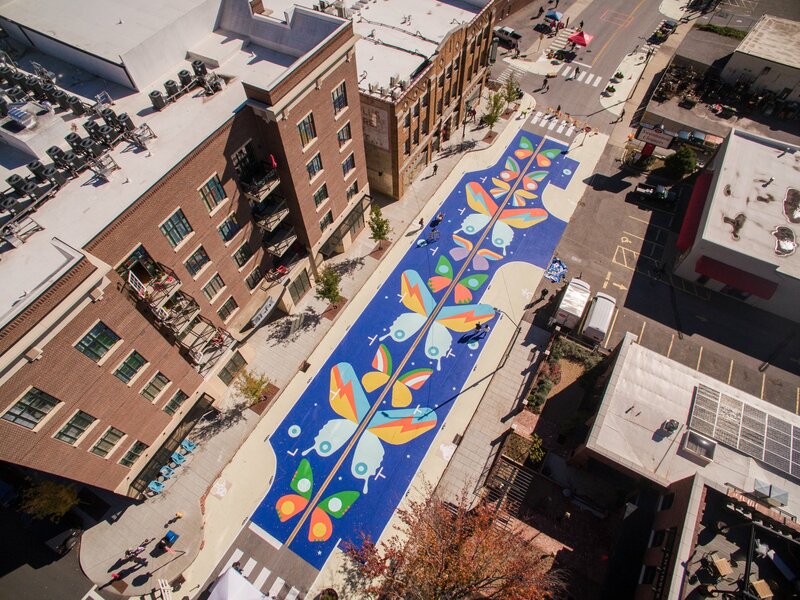 The team created 6 new crosswalks, a .3-mile parking and barrier-protected multi-use path, and installed a 6,000 sq. 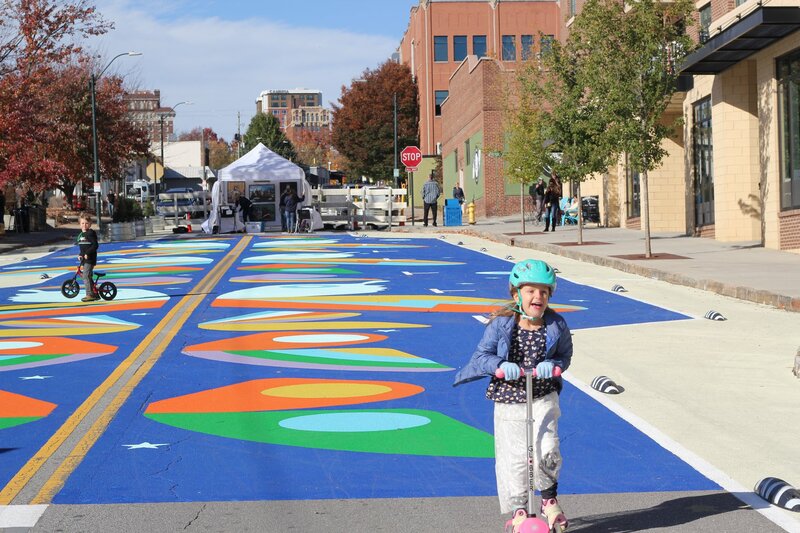 ft. mural created by Sound Mind Creative to test pedestrian and bicycle safety solutions on the corridor. These changes focused on making public spaces more accesible, safe, and functional for al users. 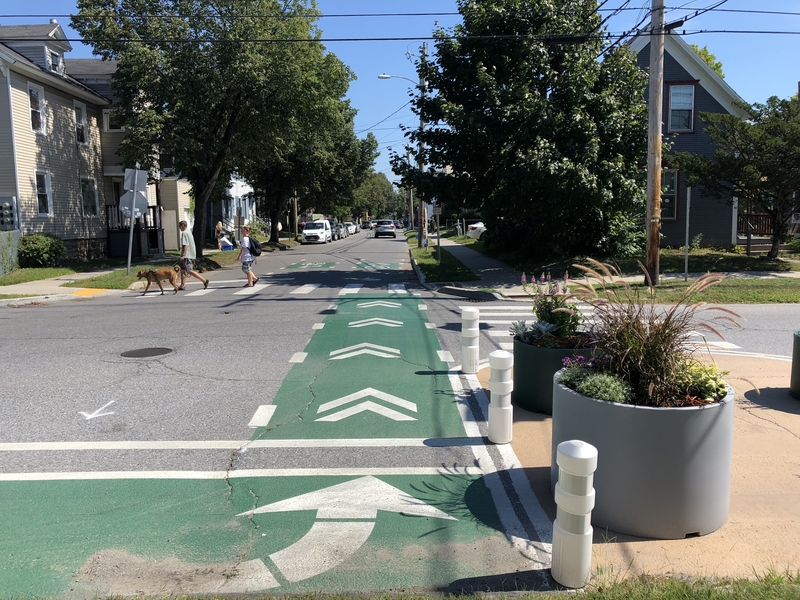 While this pilot project may last up to a year, it will inform the city’s ultimate redesign of Coxe Avenue in the short-term. Click HERE for an article on the project installation! 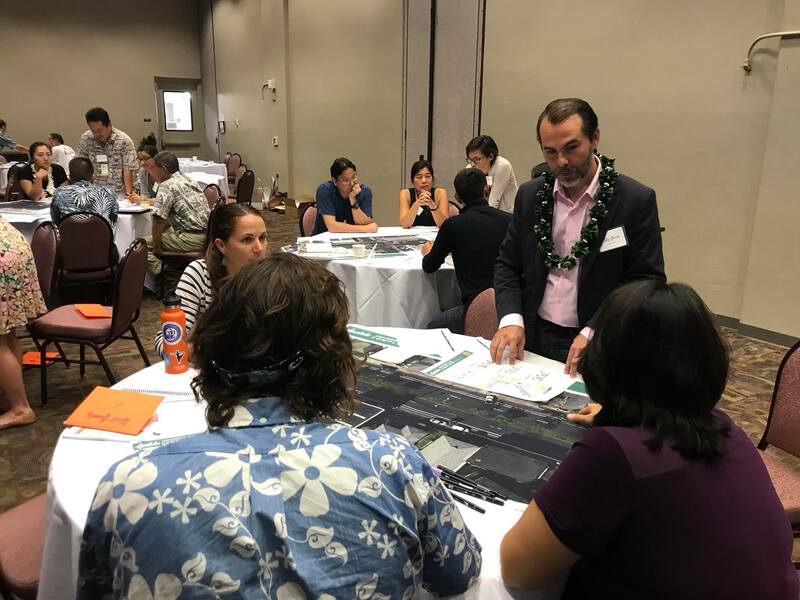 Street Plans has teamed up with the City of Honolulu to implement a two-phase tactical urbanism project starting in 2019. The first phase will consist of a pilot project that will test an existing design while involving community members and City partners. The second phase will focus on developing a quick-build program for the City to test and implement other community-led projects to make communities safer and more walkable. Click HERE for more information about this upcoming project! 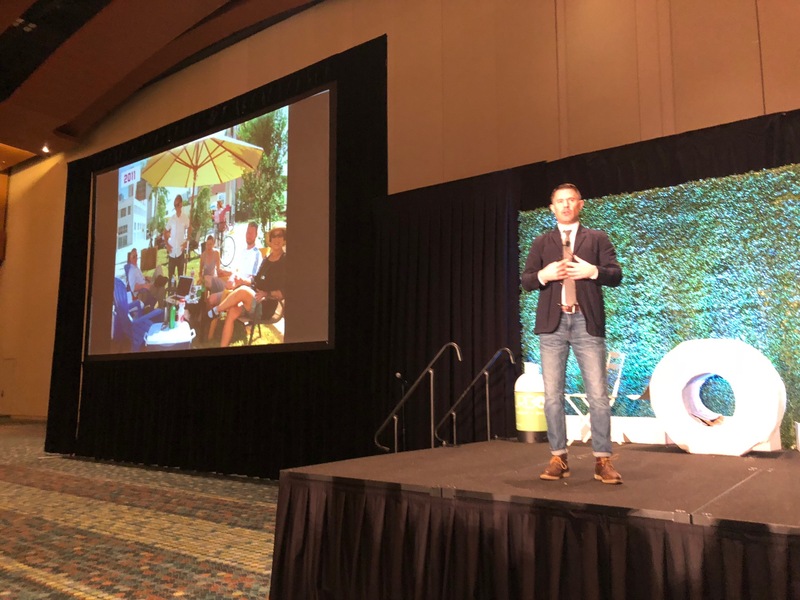 On November 8th, Principal Mike Lydon keynoted the Nashville Civic Design Center’s annual luncheon where 800 people gathered to discuss the topic of reclaiming public space. Click HERE for more details on the annual luncheon! The Burlington Quick-Build Program is Underway! The implementation of the PlanBTV Walk/Bike bicycle master plan and the quick build methodology program created by Street Plans for the City of Burlington is underway! This comprehensive plan for active transport included recommendations for streetscapes that accommodate walkers and cyclists and that will ultimately create demand for better (and greener) public transit. These measures are designed to encourage safer, more convenient and more predictable transit infrastructure for folks who ply all modes of transportation, from semi-trucks to electric scooters. Click HERE to see an article about the new streetscape changes in Burlington! 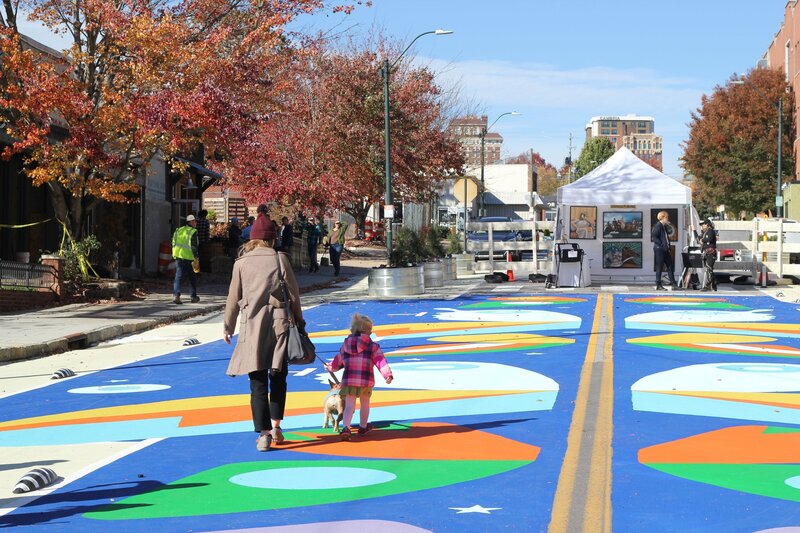 Street Plans is working with Fitzgerald & Halliday, Inc. and Hartford’s Capital Region Council of Governments to advance the implementation of Complete Streets by writing a regional guide for embedding a Tactical Urbanism approach to project delivery. 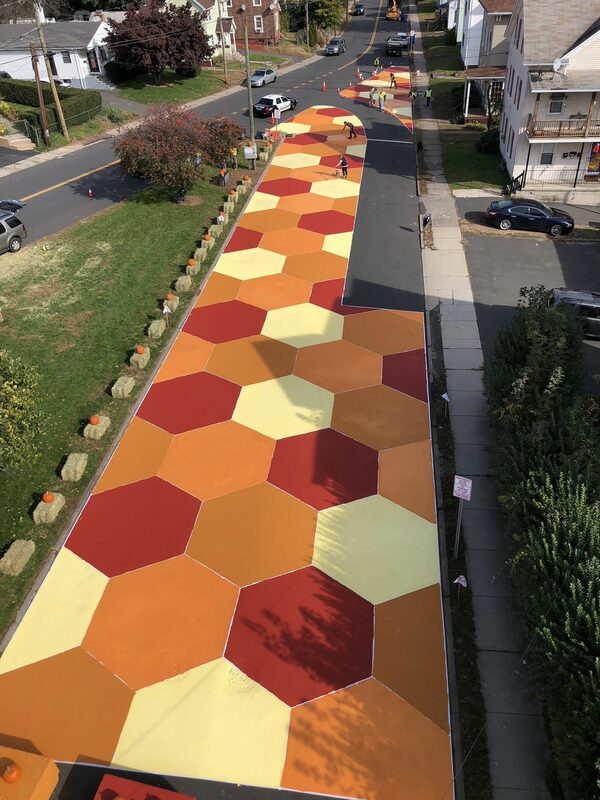 On October 24th and 25th Street Plans collaborated with the City of New Britain, Connecticut to get a working model on the ground. 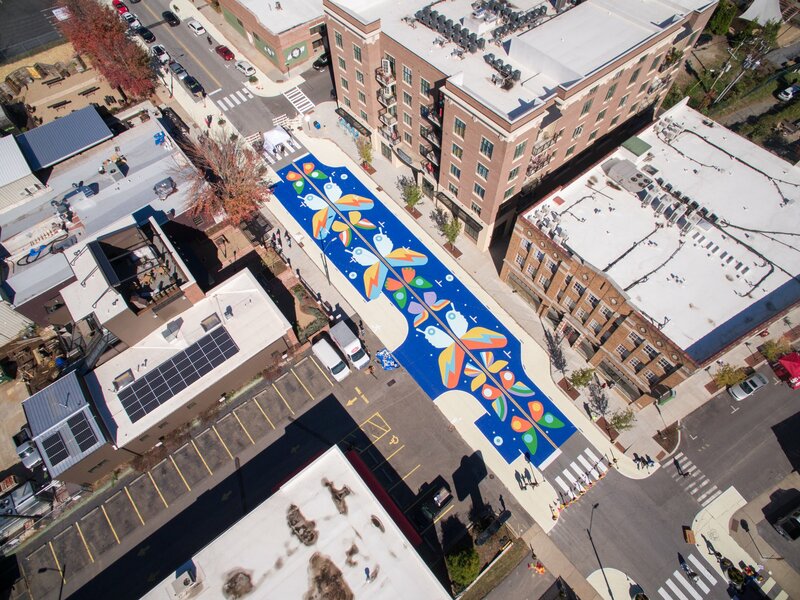 The demonstration project consisted of a community art mural on a portion of Jubilee Street with the goal of providing more public space in the East Side neighborhood. Click HERE and HERE to see some articles about Jubilee Plaza! 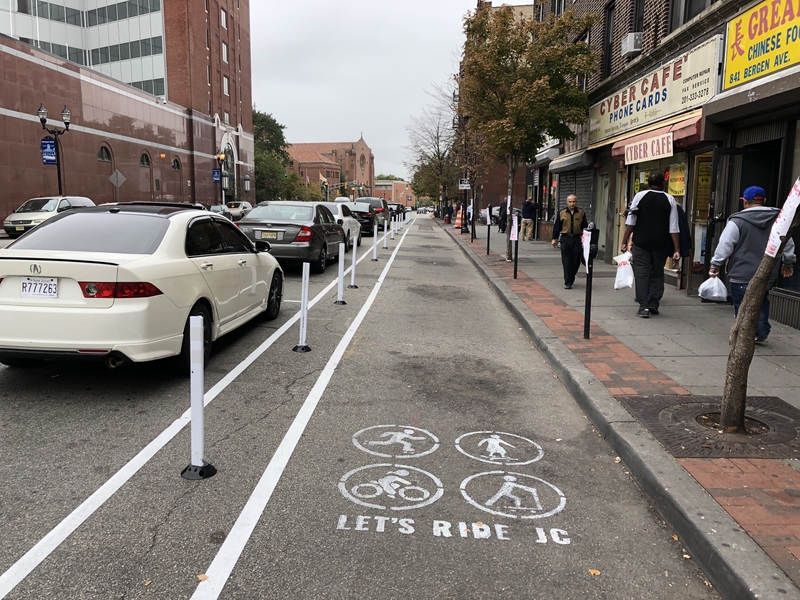 On October 13, the City of Jersey City and Street Plans tested a temporary .4-mile protected bikeway as part of the engagement process for the Let’s Ride JC Bicycle Master Plan. The lane was designed to be 75% wider than other lanes in Jersey City to welcome people using bicycles, scooters, skateboards, and rollerblades. This effort was led by Street Plans with support from Arterial, Equitable Cities, Streetfilms, and many community groups and city departments who desire safer streets. Earlier in the year, an analysis of the current state of Jersey City’s bicycle network was made, noting where existing infrastructure could be improved and identifying possible corridors for new infrastructure. A series of public workshops were then held where the community was able to provided input and share ideas for the final plan. 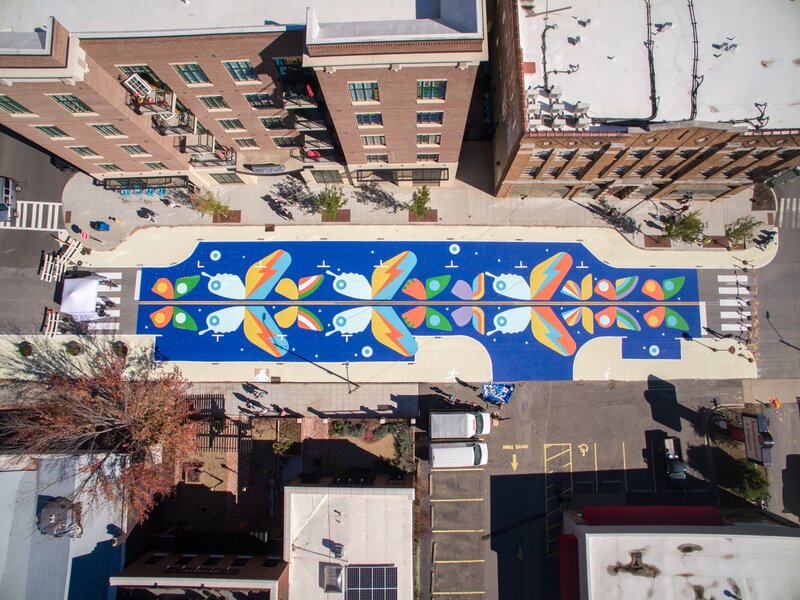 One of these ideas was tested along 6 blocks on Bergen Avenue on during JCAST 2018, the city’s three-day, citywide arts festival. Following the demonstration project, the project team will develop a comprehensive, actionable bike master plan and design guidelines for new and improved bicycle infrastructure citywide. Click HERE to view the Streetfilms video! 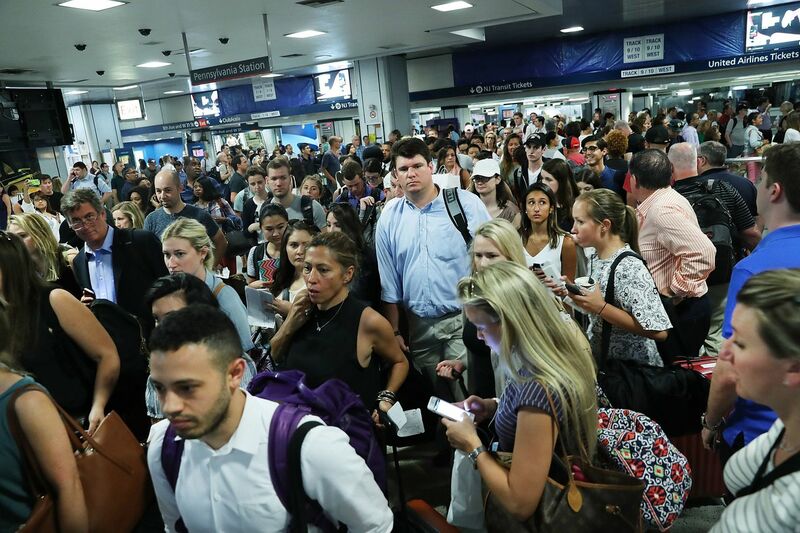 Senior Director, Ed Janoff, penned this op-ed for the New York Daily News about the congestion that commuters face on a daily basis at Penn Station in New York City, calling for action towards a comprehensive plan to fix this large commuting hub.